NICE PRICE !!! 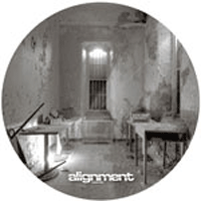 - Alignment is back with its fist vinyl outing of the year for the main label. This time introducing Quartz  a production due hailing from Cardiff. The pair have been making some heavy waves in the scene of late with their heavy gritty productions. A release lately on IM:LTD has made the scene take note of what their about, now they present the 3 track EP on Alignment. Bone Marrow, Cut Deep and the digital exclusive "If Ever" will be available in early June 2013. Support for the tracks already comes in the form of Doc Scott, Skeptical and Dub Phizix. Also watch out for their remix of Traces "Sonar" coming soon on 117.